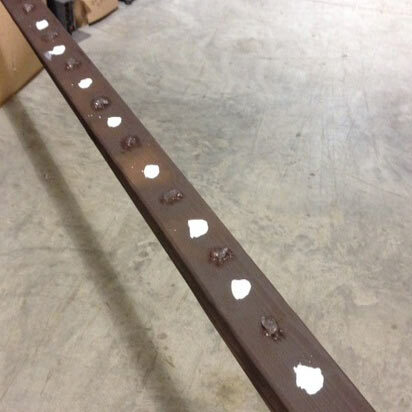 Creates a Sticky Situation for Residential Bird Control! Flock Off! 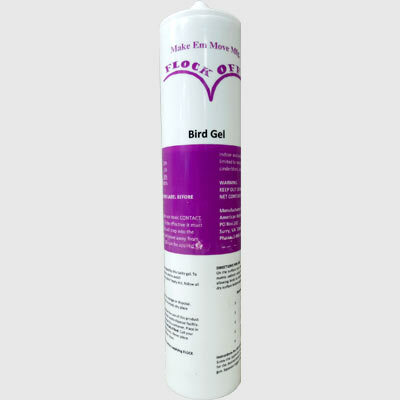 Bird Gel is an ideal inexpensive bird control solution for around homes and garages. Flock Off! Gel Bird Deterrent is a contact irritant gel and does not contain Capsaicin. When birds land on treated surfaces they dislike the sticky sensation of the gel and instinctually will not perch in the treated area. Apply to the surface with a dot-like pattern about every 3" as you move down the surface, allowing birds to easily land on the gel. Within 30 days of initial application birds learn to stop roosting and perching on the tacky surface(s). Eco-friendly, safe and economical bird deterrent. Can be applied to indoor and outdoor surfaces like wood, metal, plastic, tile, brick, cinderblock, cement and more. Gel will not break down from extreme temps or weather..
Easy application on ledges, window sills, beams and all landing surfaces. Gel remains active for 6 months to a year. 10 oz. tube is sold in a pack of 3 or case of 12 tubes. Add a dab of our Flock Off! UV Clear or White Paint in between and/or to the gel dots themselves providing a visual deterrent to augment the perch inhibitor gel.